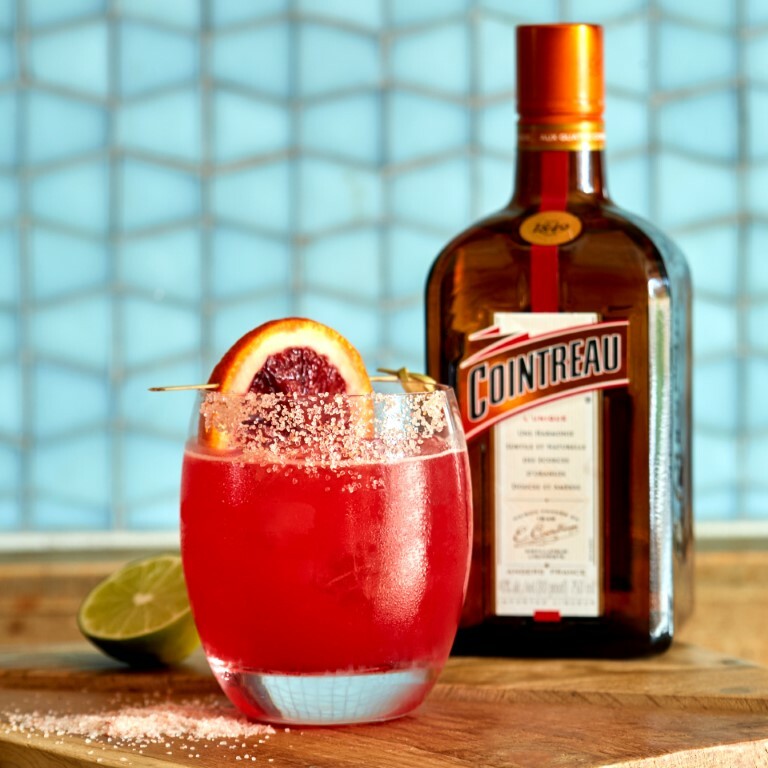 Cointreau is a staple of the back bar, “the original crystal-clear orange liqueur” and an essential triple sec for use in any high-end margarita. Made from “a unique distillation of sweet and bitter orange peels,” it’s one of the two French expressions of orange liqueur that lay claim to being the inventors of the stuff. Cointreau is it’s commonly known is formally called Cointreau L’Unique, because there’s (at least) one more expression: Cointreau Noir, which is an orange liqueur mixed with a bit of cognac, giving it color and weight. Today we look strictly at the original, the “unique,” to see how it stacks up against cheaper, ubiquitous triple sec. Cointreau is lighter all around than your typical Hiram Walker pour: Less sweet, less syrupy, less of a punch to the palate. The sharpness of citrus is everpresent however, folding in some greener notes atop the orange citrus, reminiscent of sour/bitter lime peel. There’s enough sweetness to keep this lively and approachable — and appropriate for use as both a flavor enhancer and a sweetener in a cocktail, though it won’t ratchet up the sugar the way that most triple secs will. That’s a good thing, because it means you can use Cointreau with a bit more abandon than you would rack triple sec — although at a full 80 proof, you might want to temper your pours a bit. All told: Cointreau is every bit as good as it ought to be, and it rightfully stands on the top shelf of the orange liqueur rack. Naturally, that means you’ll have to pay for the privilege, though: Cointreau costs a full five times what a bottle of Hiram Walker Triple Sec will run you. Given that discrepancy, will you notice a massive difference in a margarita if you upgrade to Cointreau? No, though it will be a bit less sweet. But perhaps that’s a good thing.